Vikram Seth is an indian poet and writer. 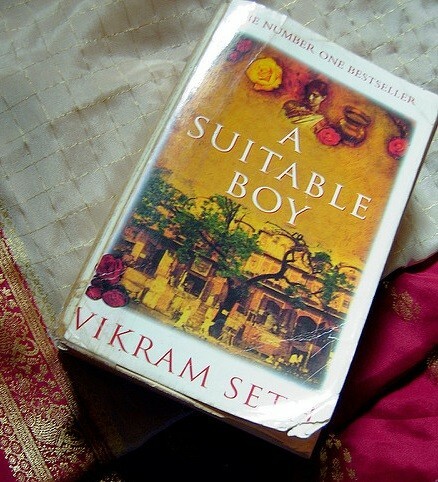 His novel, A Suitable Boy (released in 1993) takes place in the post-independence India of the 50’s, and follows four families. One of them, the Mehra family is the center of the plot. Mrs Rupa Mehra, the mother of the family, tries to marry her youngest daughter to a ‘suitable boy’. More than being a book about families, Seth masterfully succeed to show the struggle between old traditional India and modern India, at the period of the first elections since the country’s independence. The Mehra family perfectly embodies the political and social context. Indeed, Lata, the youngest daughter of the family (and also the heroine of the book) could be compared to modern India, and while reading the novel, the reader quickly becomes more interested by the way she tries to become the master of her own destiny, than the actual main history that is about her arranged wedding. Mrs. Rupa Mehra, a really traditional and religious widow with four children personifies old India with all its strict rules and customs. For her, a girl can’t decide her fate, has to marry a ‘suitable boy’ and let him be her master. Before independence, India couldn’t create its own rules, and had to live according on what United Kingdom wanted it to. Finally, for the family as for the country, both find a solution that suits everyone: Lata marries one of her suitors she loves, so her mother is happy too, and India keeps its ancient customs while electing Jawaharlal Nehru, a member of the Congress Party, that was for India’s independence and helped the country modernize. The author, who is one of the leaders of the campaign against penal criminalization of homosexuality, is a great voice to speak about how to modernize a country, and A Suitable Boy clearly is a masterpiece. The novel should even be adapted in a TV series soon, with Mira Nair as a director and in collaboration with the BBC. Emile Zola is a French writer who put novels with families at the heart of their plot at a whole new level. Zola is considered as the main representative of the naturalism movement in literature, that aims to represents reality the most precisely and true possible and focuses on lower classes. It appears then normal, while reading the Rougon-Macquart novel series (written from 1871 to 1893) to read all aspects of human being without any taboo.The Rougon-Macquart ( with Natural and Social History of a Family under the Second Empire as a subheading) includes 20 novels that depict the lives of a family on 5 generations, from the ancestor Adélaîde Fouque to the child born from the incestuous love between Pascal Rougon and his niece. 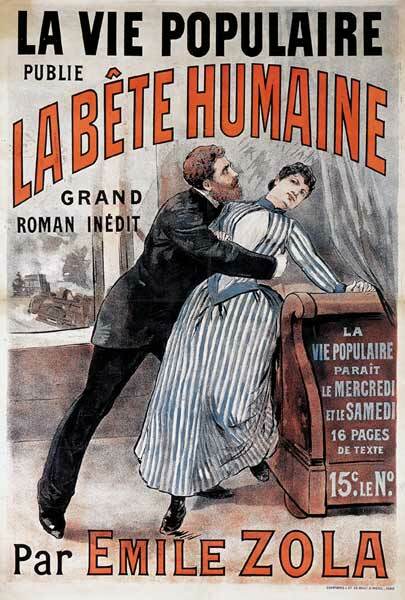 La Bête Humaine, 17th book of the Rougon-Macquart series, written in 1890. With this series, Zola wanted to study the behaviours of all the members of this family depending on everything that happen to them. His goal was to be like a spectator of their lives, he didn’t want to affect their personalities and wanted them to react as the average humans with the same personalities as them would react. His approach on families is really interesting because he focuses a lot on what the ancestors of the characters brought to them. For example, the first Macquart of the family was alcoholic, and because of him, the entire Macquart family line has a tendency to alcoholism. More than a simple novel, it is also a scientific experiment and a real deep reflexion on human being. Zola said it, the purpose of the Naturalism movement is to destroy the barrier between science and literature. After finishing the novel series, all we want to do is to look at our family tree and find who our ancestors were and what part of their behaviour they demised us. For those who are really interested by the novel series but are not really into reading or don’t have time to read novels, most of the novels from The Rougon-Macquart have been adapted into movies. Fiodor Dostoïevski is one of the novelists who lived the life of a novel’s character. Indeed, the Russian novelist has been imprisoned, condemned to death sentence (he had a mock execution), sent to the Omsk jail… What an incredible and hard life! The most impressive thing is the fact that none of his terrible experiences in life stopped him from being considered as one of the greatest Russian novelists of all time, and from influencing a lot of other novelists and philosophers. 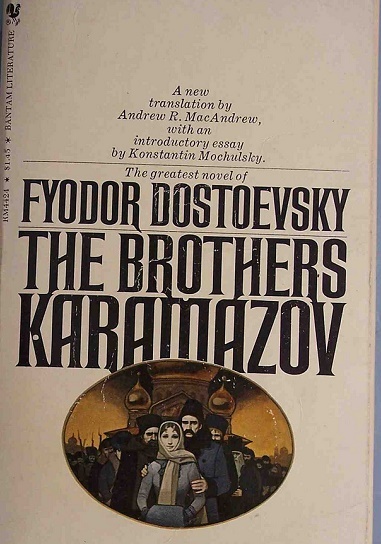 The Brothers Karamazov (1880) is the last work of his life. This novel depicts the life of a Russian man and his three sons (plus one hidden son), with each legitimate son embodying a part of the Russian society at this time. Dimitri, the older brother, is supposed to embody the ‘typical Russian man’ with a permanent struggle between the faith in God and the irrational strength of passion. Ivan, the second son is an intellectual man who firmly think that God doesn’t exist, and who suffers all his life from all the terrible things that happen in the world, especially children’s suffering since the Karamazov father could be considered as the worst father in the world. Finally, Alexeï, the younger son but also the ‘hero” of the novel is a really pious man (he actually is a novice in a monastery) who tries to manages all the fights between his father and his brothers. Even if the murder of the Karamazov father is supposed to be the main plot of the novel (which brother killed him? ), it approaches a lot of philosophical and moral themes, such as God, morality, modern Russia and many others through the main characters. The novel was supposed to have a continuation, unfortunately, the author died only four months after the publication of The Brothers Karamazov. Nowadays, people who love this novel can enjoy it in a lot of different adaptations ( such as cinema, theatre, ballet, television..). All of these books were written at really different moments but they all use families to make a criticism of the period the characters live in, it is truly amazing. Some of the novelists are dead now, but remember that great stories and morals never die.